Governments, media and industry use ‘low-carbon economy’ frame to continue business as usual. It’s a compelling comparison. With the project we can pay for schools, hospitals and poverty reduction. Without it, we have nothing. Yet it is fallacious, a comparison promoted by Big Oil and adopted by most governments. It takes our minds off alternatives. The correct comparison is between revenues generated from $40 billion invested in fracking and fossil fuel production versus revenues generated from $40 billion invested in renewable energy, such as solar, wind and thermal. With roughly a decade left to avoid locking in dangerous climate change, swift action is required to identify where the greatest emissions are coming from and then rapidly decarbonize those sources. The most effective path to decarbonization is cutting fossil fuel consumption, but developing and urbanizing countries require new energy and efficiency technologies – making clean energy research and development (R&D) critical. The good news is that advances in the last two decades have cut renewable energy costs, making new renewables cheaper than operating existing coal power in many parts of the world. he 2019 polar vortex has passed, leaving behind many harrowing stories in its wake. The new Cold Climates Addendum of Rocky Mountain Institute’s Economics of Zero Energy Homes report illuminates how our homes can be better prepared for weather extremes cost-effectively, even in some of the coldest climates in the United States. The average US home leaks so much cold air that at roughly 20 mile-per-hour winds, all of the air inside a home will be replaced every 6 to 10 minutes. This can lead to dangerous indoor conditions when outside air is coming in at -20 to -30 degrees Fahrenheit. Some cities still utilize older energy codes that don’t require significantly better performance (or have no energy codes at all), meaning that many homes built today will continue to be challenged by extreme weather events like the polar vortex over their lifetime. The good news is that our recent research shows that highly efficient homes capable of surviving extreme weather conditions can be built cost-effectively for only a small amount more than standard construction, even in cold climates. The first step in having a home that can deal with extreme temperature is to eliminate drafts and improve insulation. These measures are especially cost-effective for new homes. Lloyd Alter’s article “Lessons from the Polar Vortex” provides some examples of the benefits just from an improved envelope to provide extreme weather resilience. How can Canada’s North get off diesel? The Northwest Territories and Yukon have energy grids that include large-scale hydro dams. In Yukon, fast population growth and increased energy demand from electric heating means the utility, Yukon Energy, is scrambling to bring in new power. Its solution? Diesel and liquefied natural gas (LNG) generators. “Maybe 10 months of the year now we’re burning LNG,” explains Cody Reaume, energy analyst at the Yukon Conservation Society. That isn’t much of a solution, according to Craig Scott, executive director of Ecology North, a non-profit that works on issues like climate change, waste reduction, water quality and food sovereignty. Author gaianicityPosted on February 12, 2019 Tags diesel, hydro, Indigenous participation, solar, Vuntut Gwitchin First Nation, wind energy, wood pellet stovesLeave a comment on How can Canada’s North get off diesel? The tidy rows of gleaming solar panels at Pine Gate Renewables facility in southwestern Oregon originally sat amid the squat grasses of a former cattle pasture. But in 2017 the company started sowing the 41-acre site with a colorful riot of native wildflowers. The shift was not merely aesthetic; similar projects at a growing number of solar farms around the country aim to help reverse the worrying declines in bees, butterflies and other key pollinating species observed in recent years. 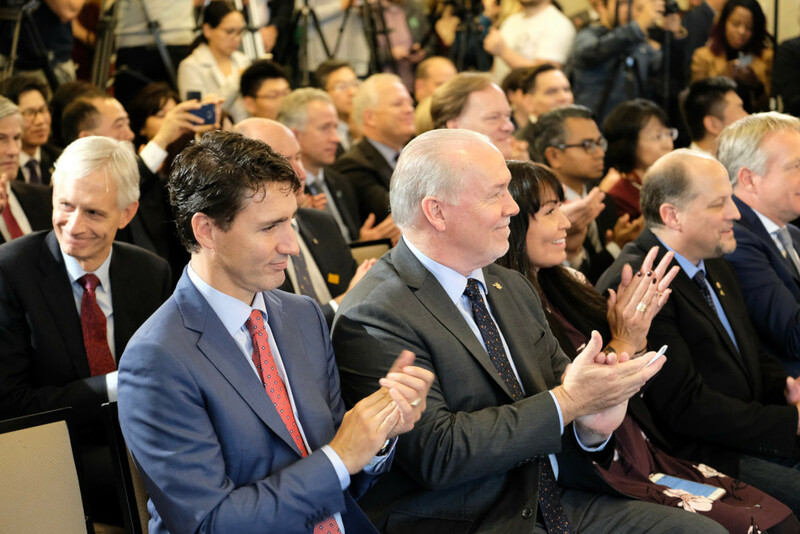 Canada has become a member of a key intergovernmental agency that promotes the adoption of solar, wind, geothermal and other forms of renewable energy.